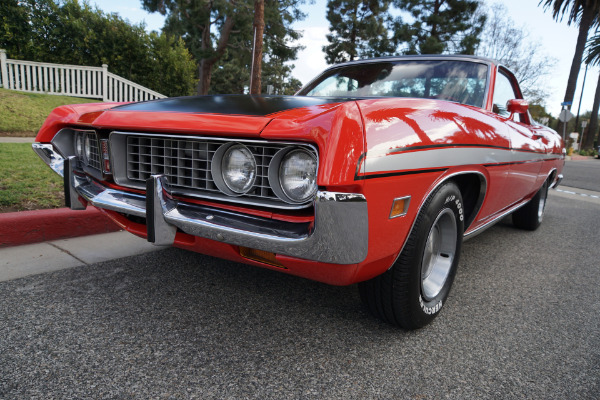 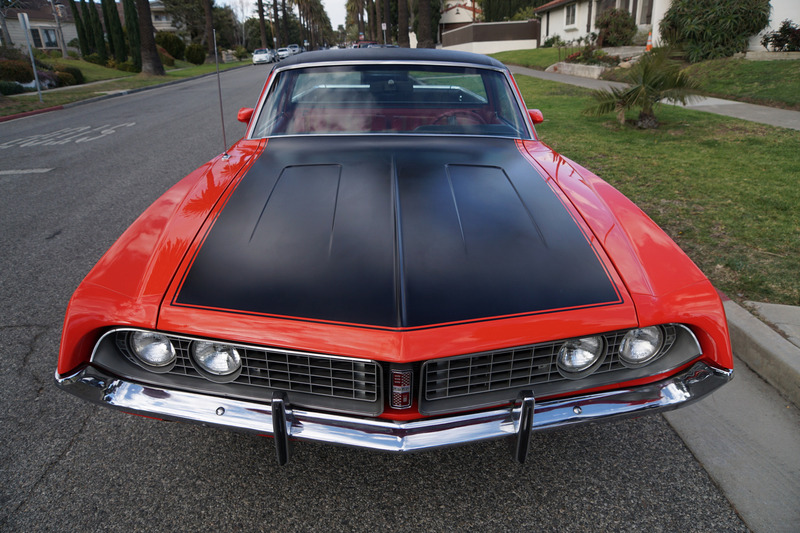 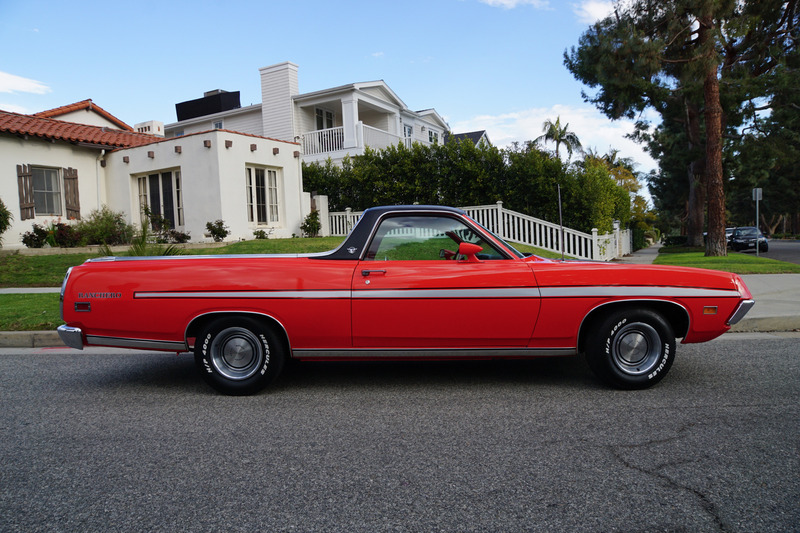 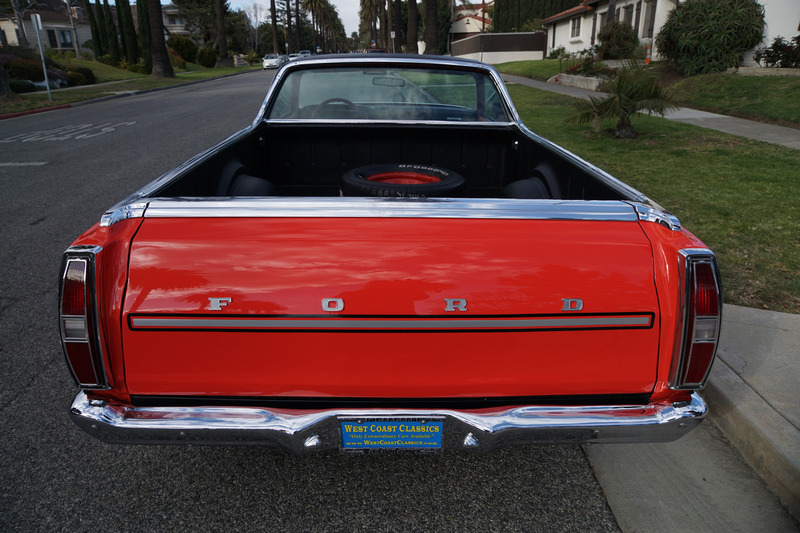 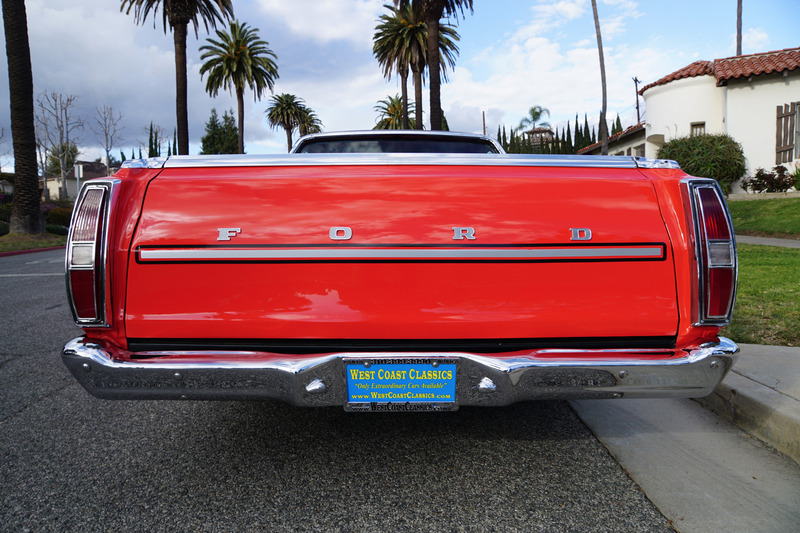 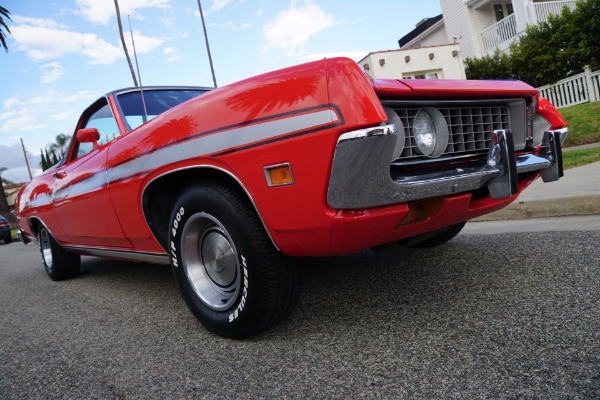 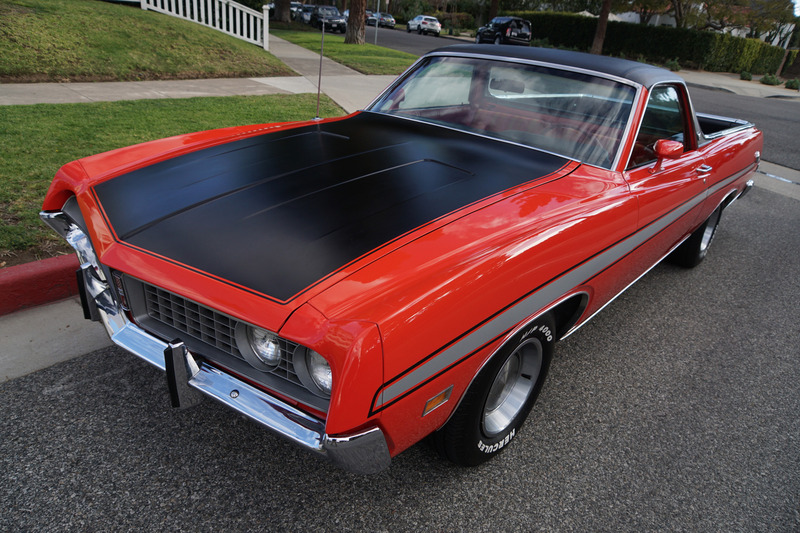 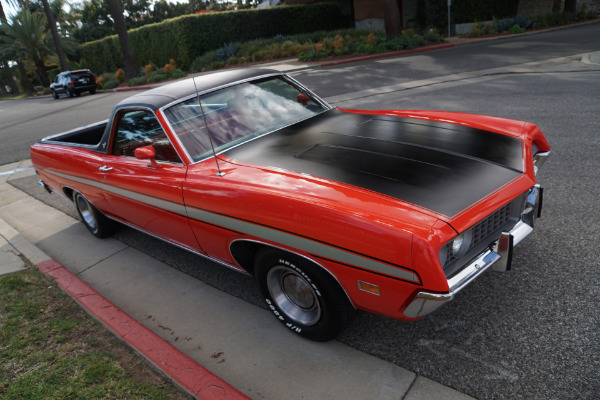 West Coast Classics are proud to present a beautiful example of this absolutely stunning and fully loaded and beautifully restored as when new 1971 Ford Ranchero 500 Pick Up! 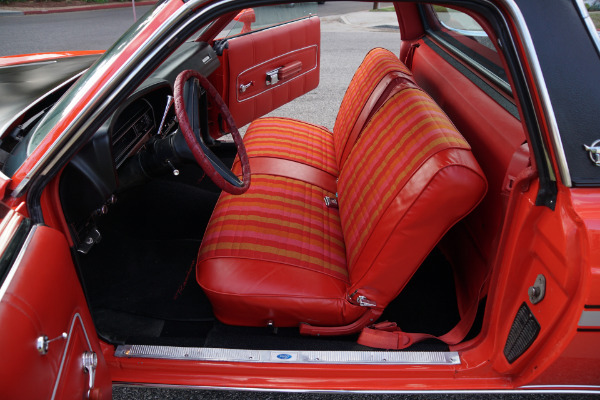 Fully loaded with the upgraded 351/240HP 2V V8 engine, C4 automatic transmission, 3:00:1 conventional axle, air conditioning equipment, power steering, power front disc brakes, fairly new tires, original AM radio, completely original 'Red Spectrum Stripe Cloth & Vinyl' bench seats interior and matching color carpet and kick panel carpet and boasting the rare 'Special Value Package'. 1 of only 589 built with these paint/trim codes and 1 of only 3,236 with the 'Special Value Package'. 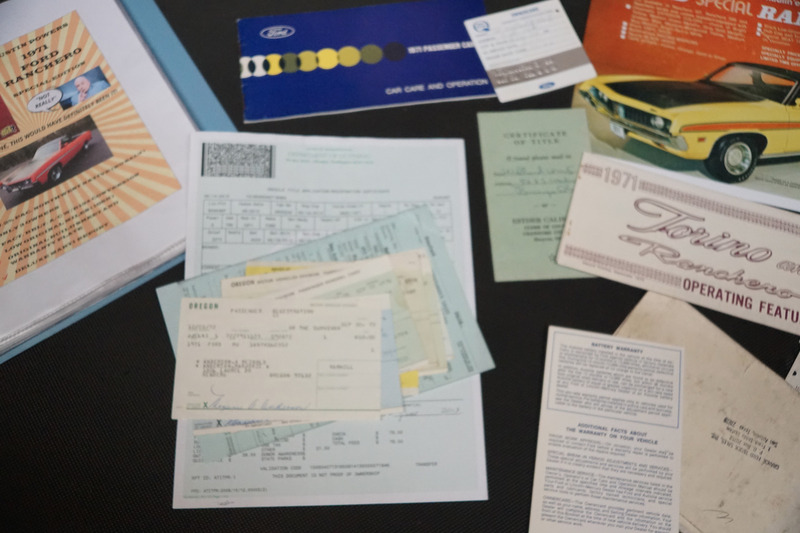 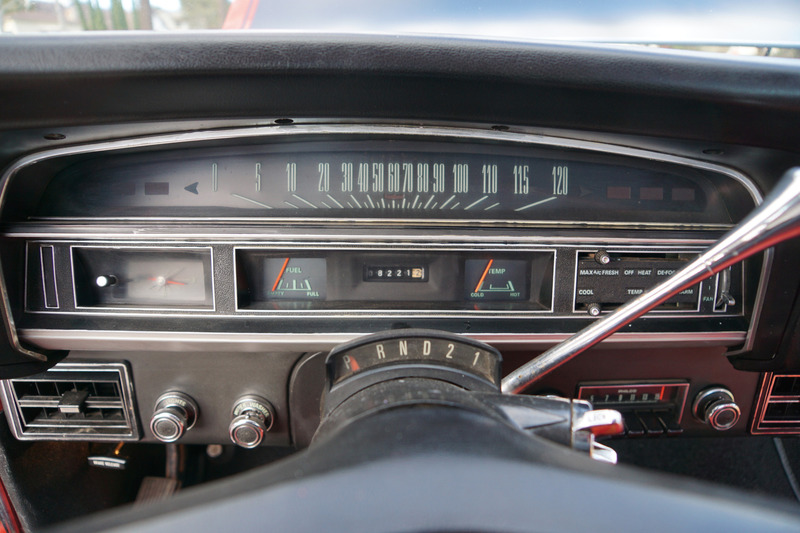 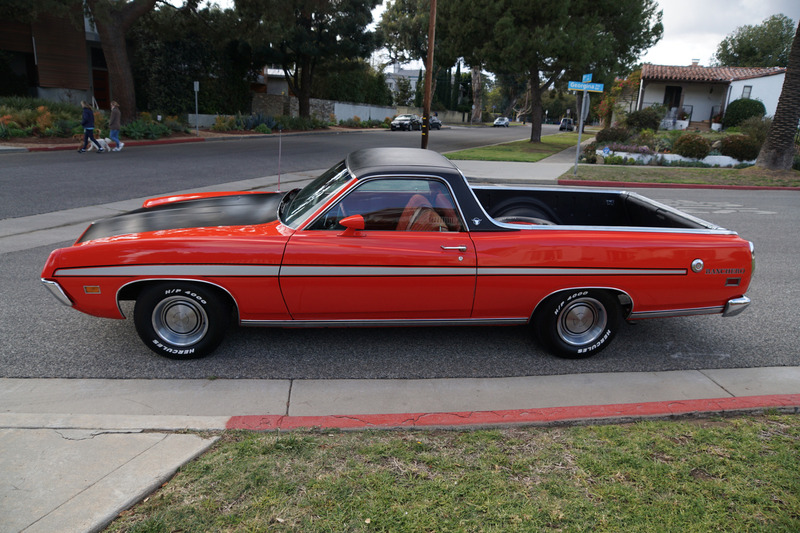 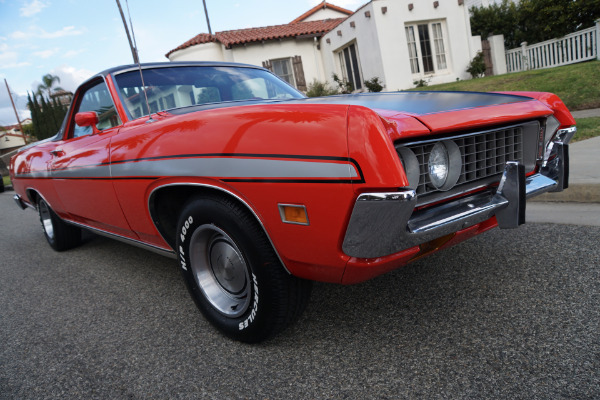 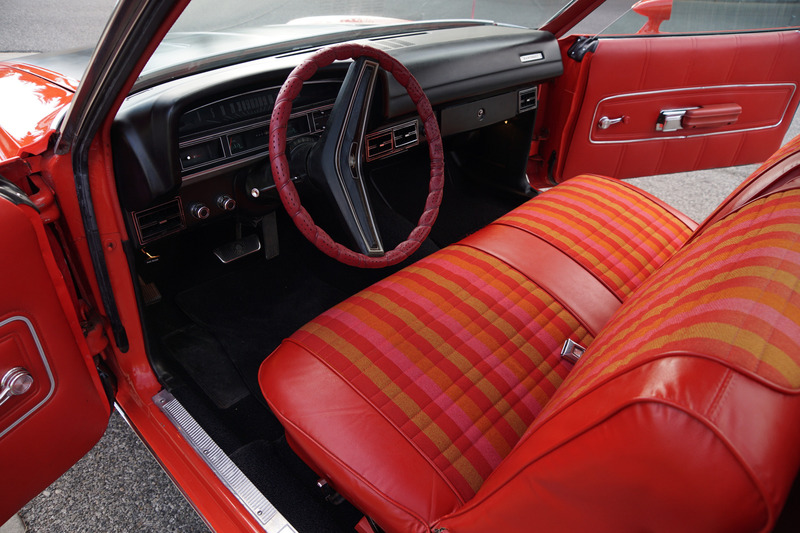 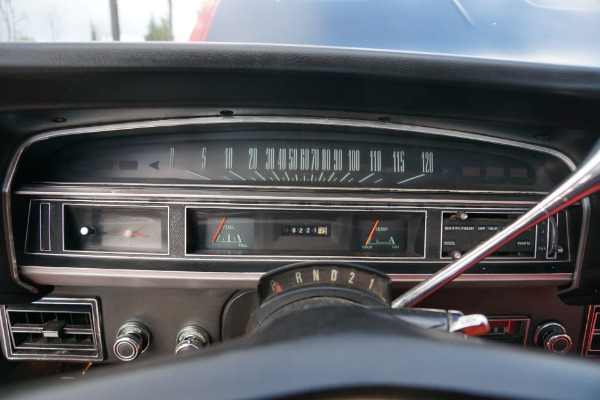 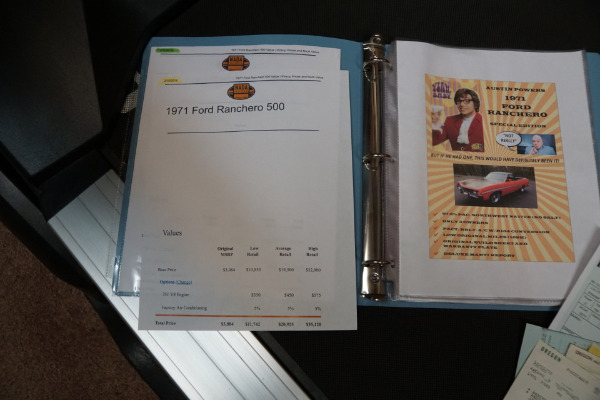 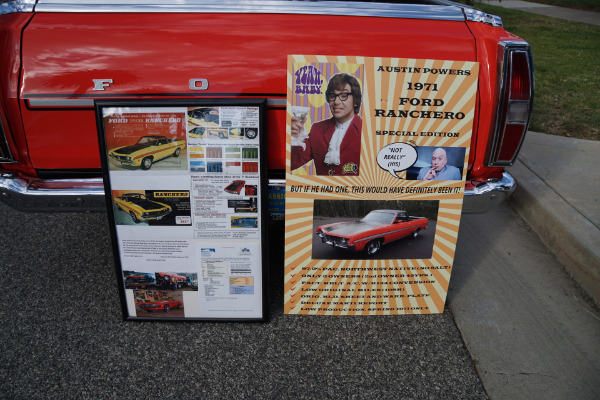 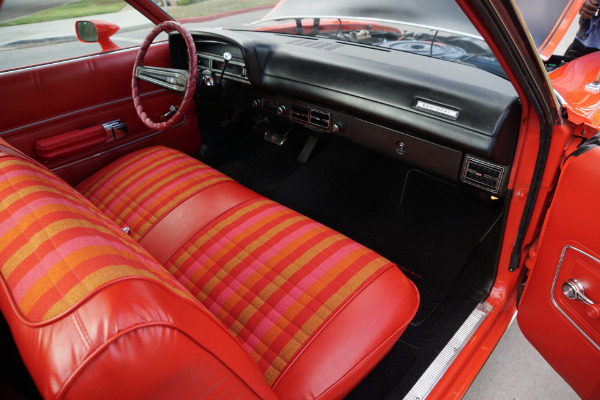 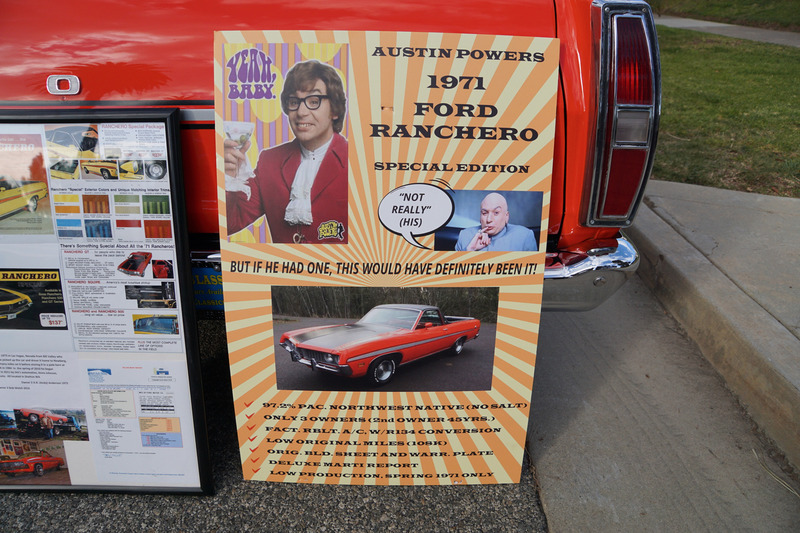 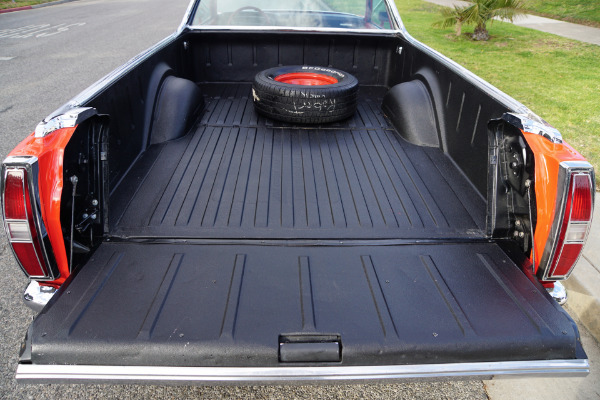 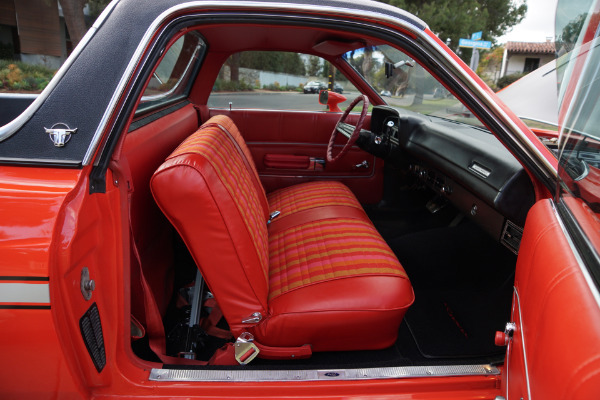 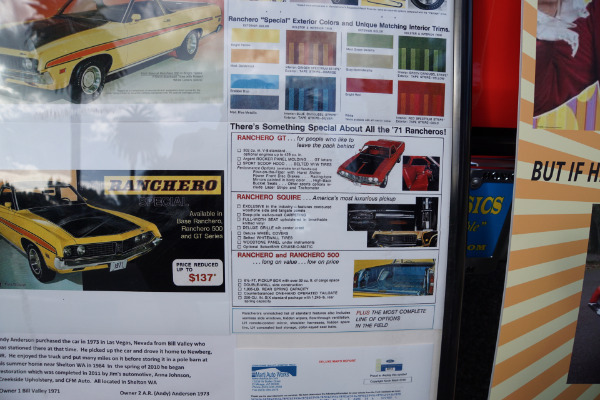 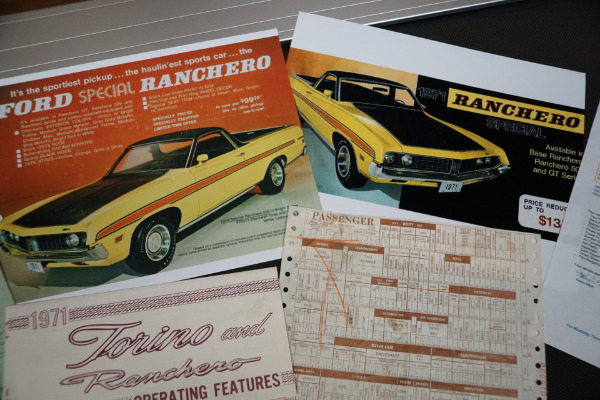 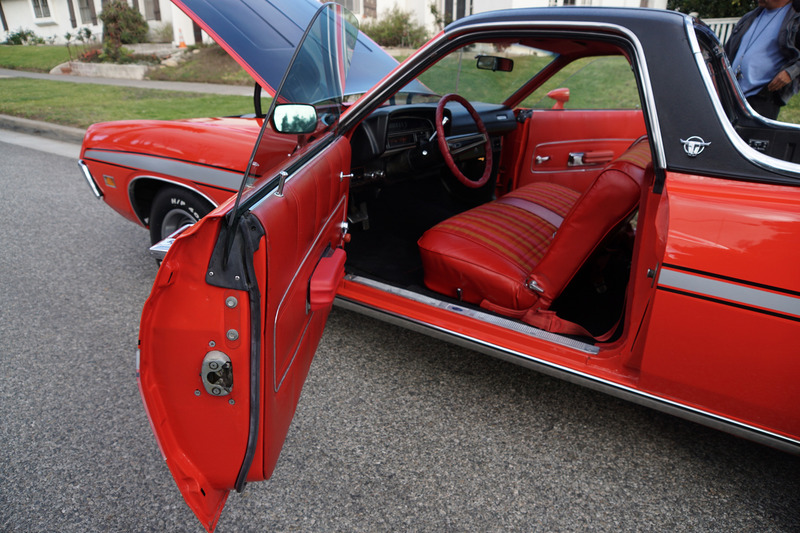 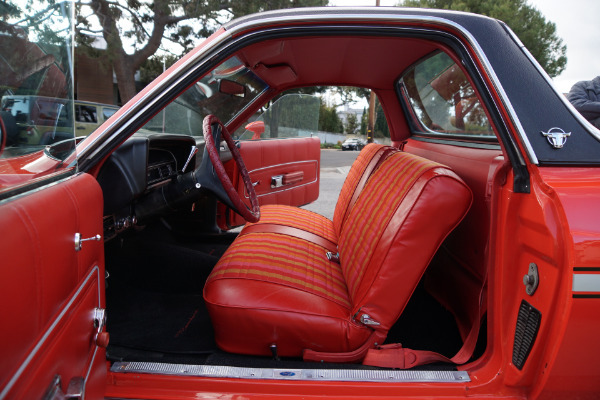 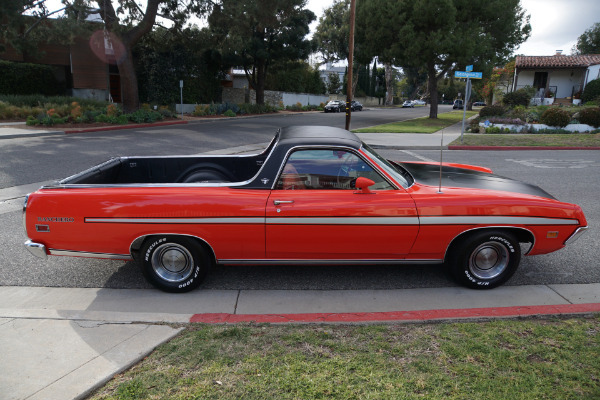 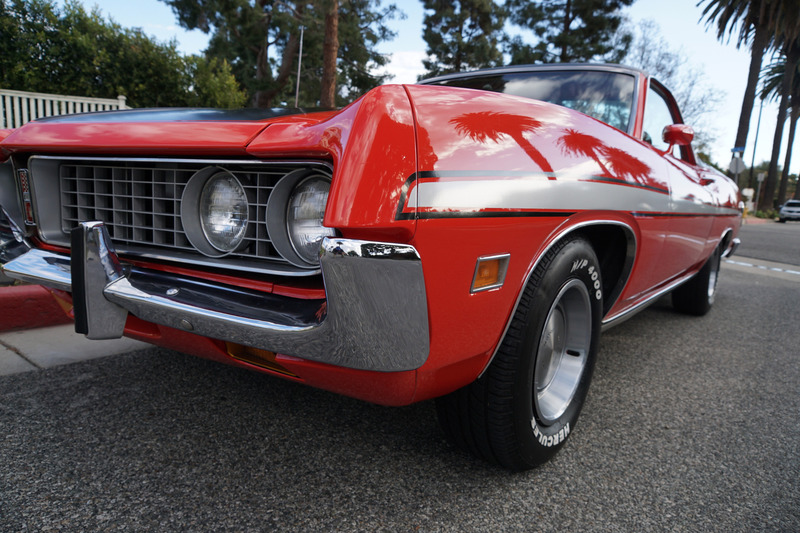 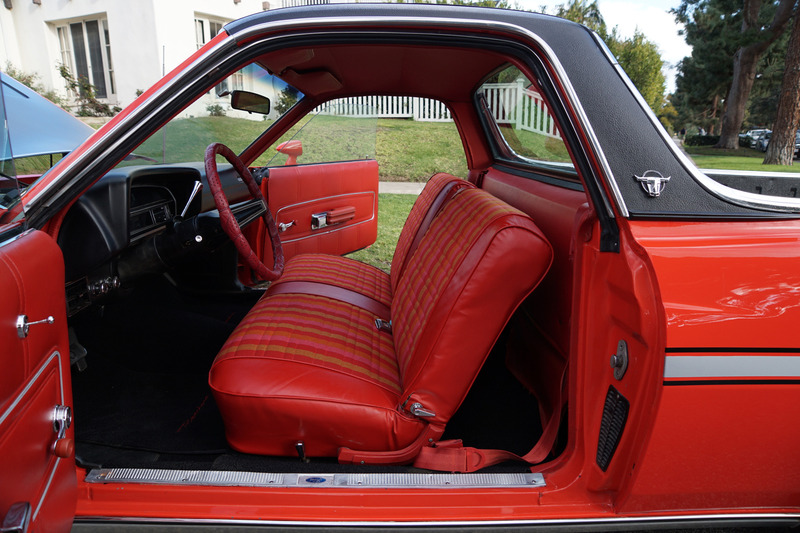 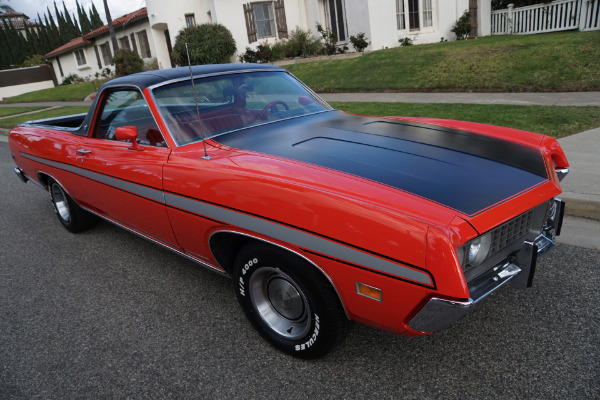 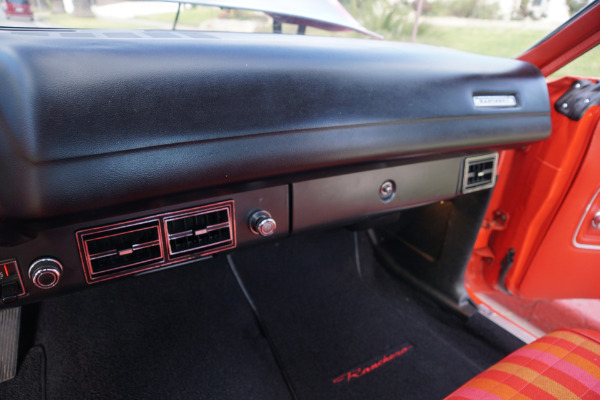 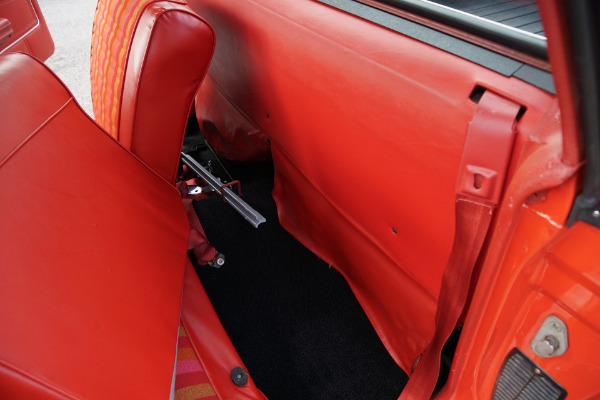 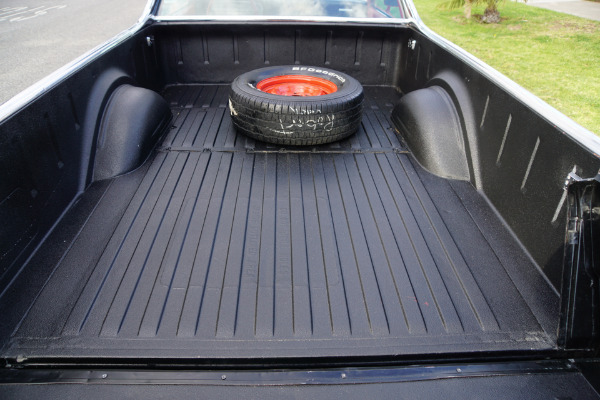 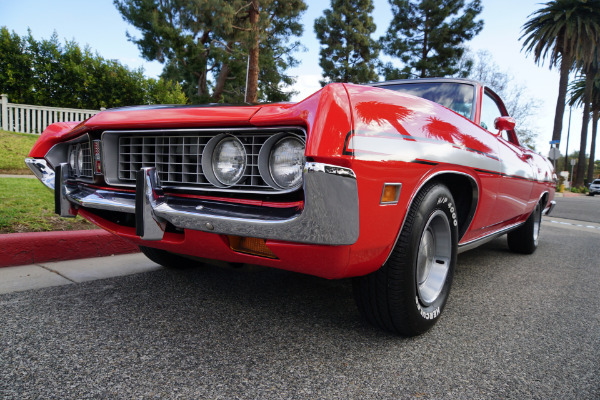 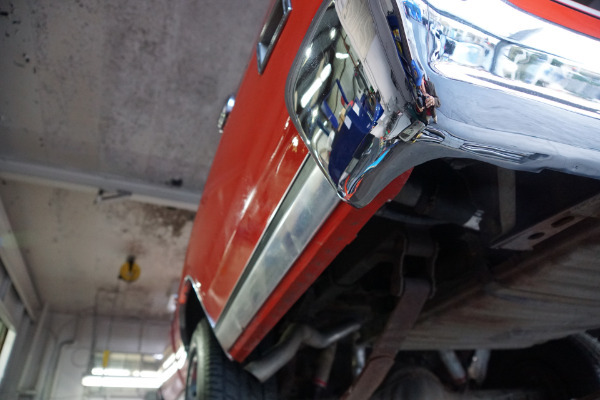 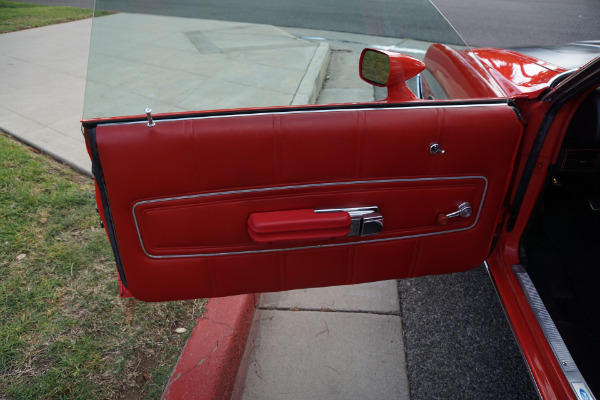 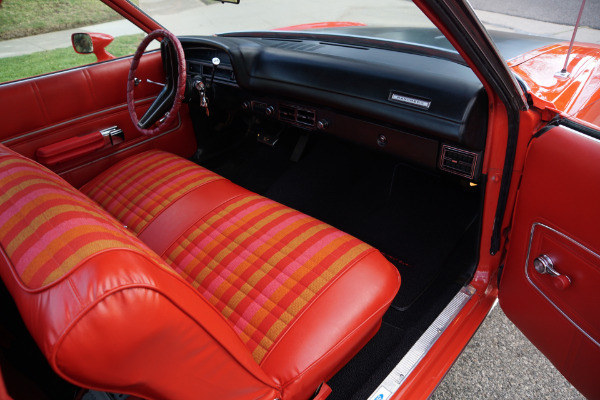 The 1971 Ranchero 500 with the 'Special Value Package' was an appearance and trim package made available as a factory added option on the Ranchero, Custom 500 and the GT models. 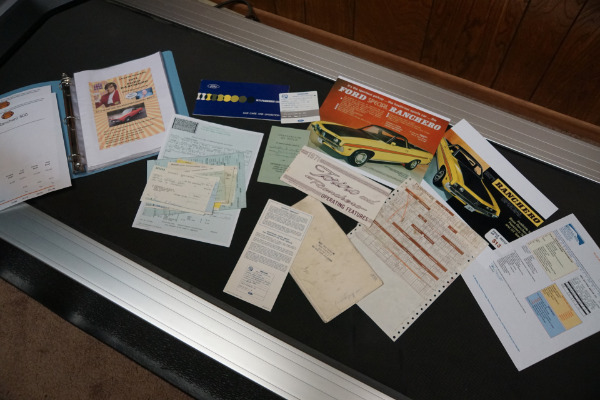 The 'Special Value Package' threw in a bunch of cool options and special goodies unavailable otherwise such as the matte black hood treatment, nifty side stripes, body color sport mirrors, special black accented box bed, bright hubcaps with trim rings and black vinyl roof. 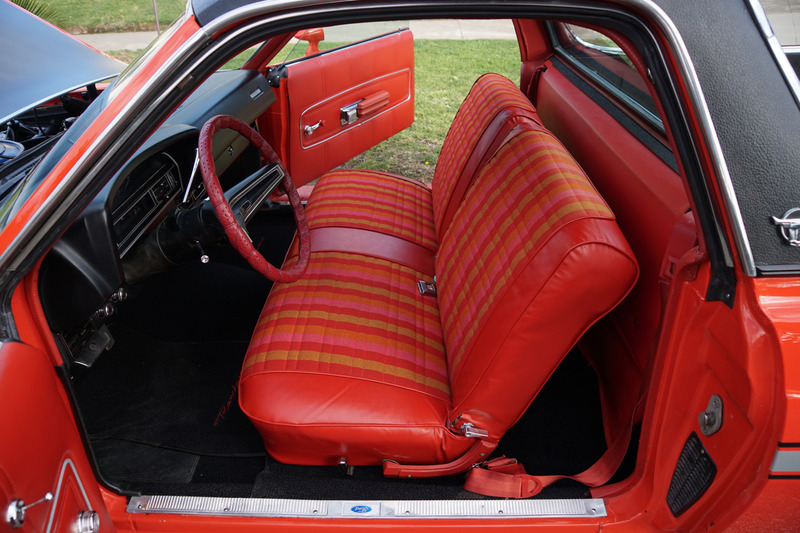 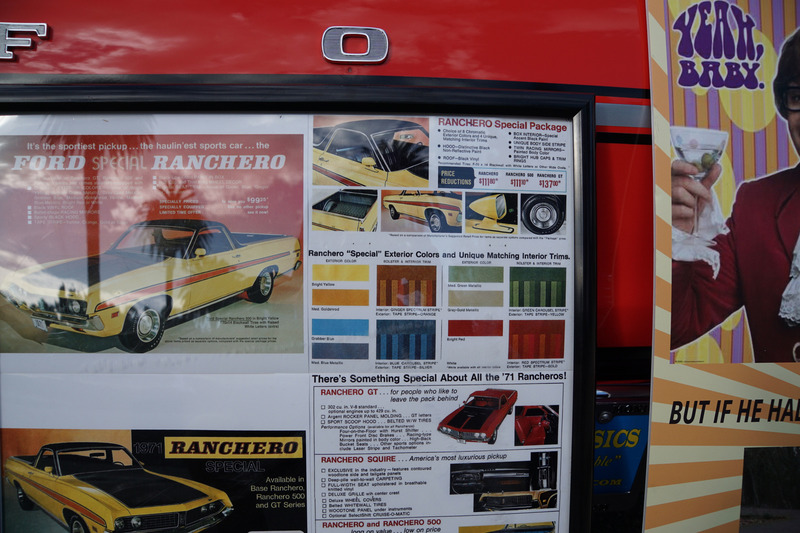 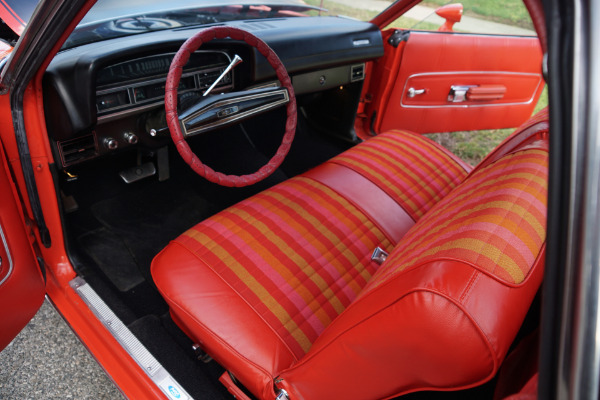 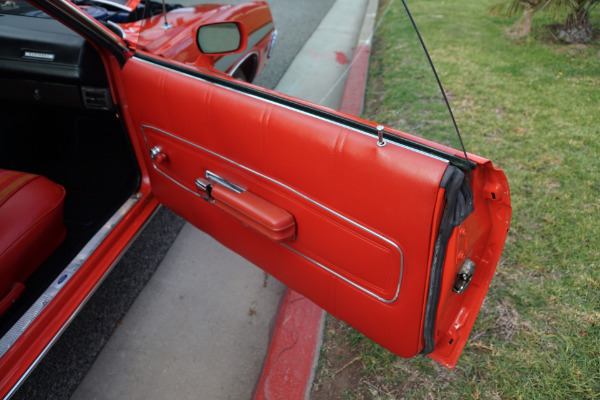 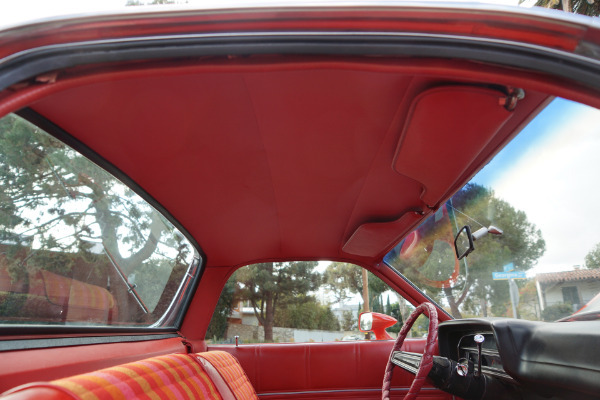 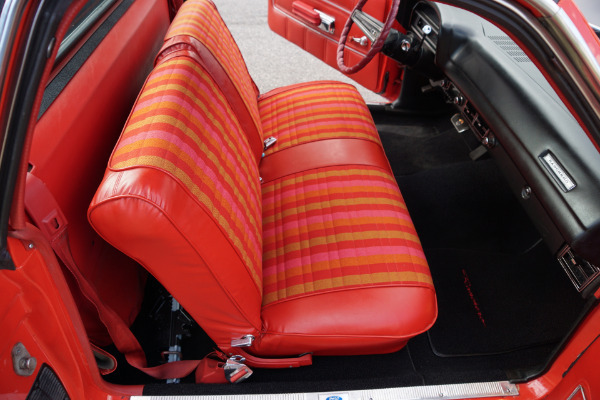 Offered in one of eight selected colors, the Ranchero SE also came with full length body tape stripe that differed according to paint color. 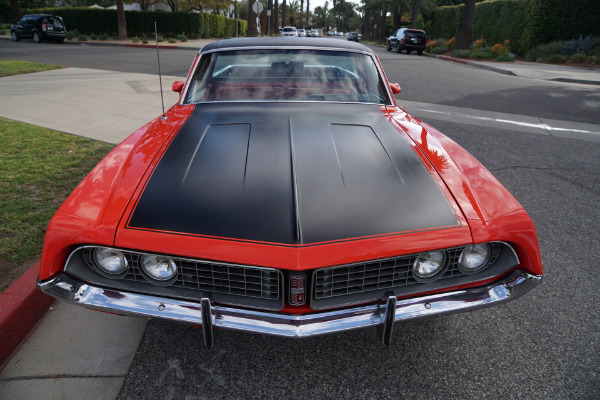 It was a very handsome and attractive appearance package and it really made the car stand out. 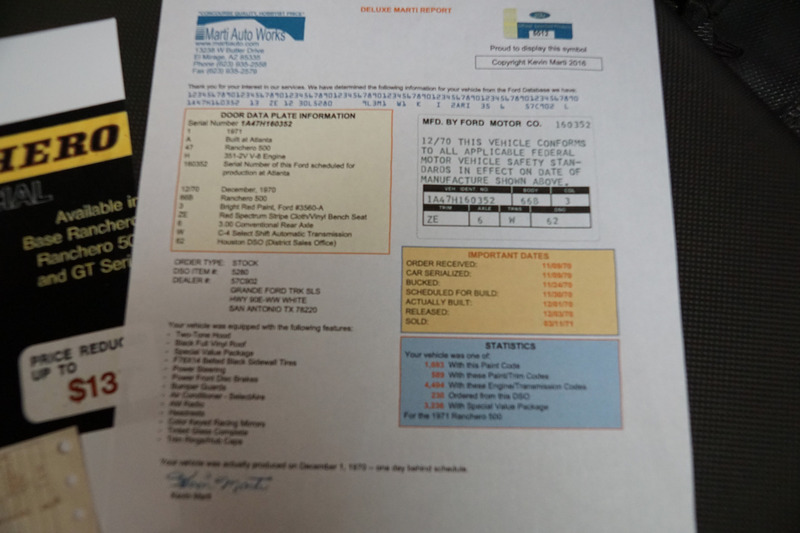 This truck has had only 3 documented owners since new. 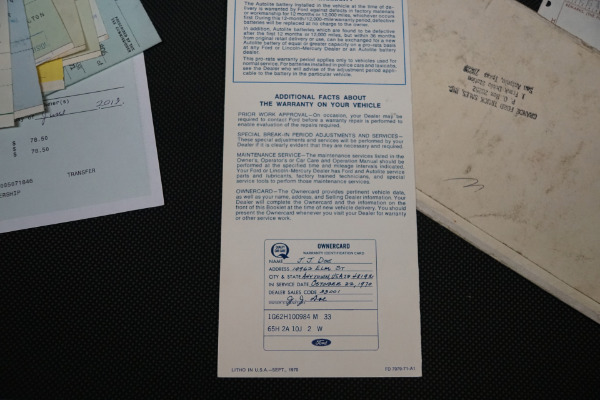 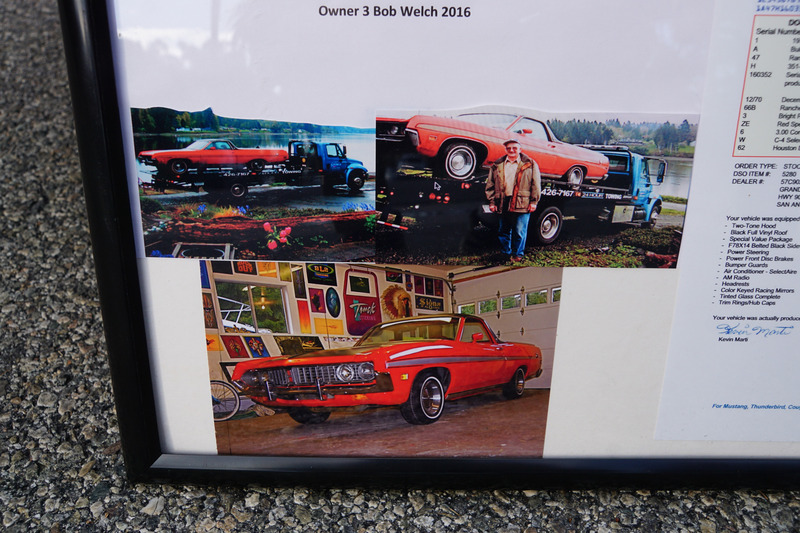 It was purchased by its original owner on 3/11/1971 from 'Grande Ford' of San Antonio, TX and sold to its second owner in 1973 who owned the truck until the year 2016. 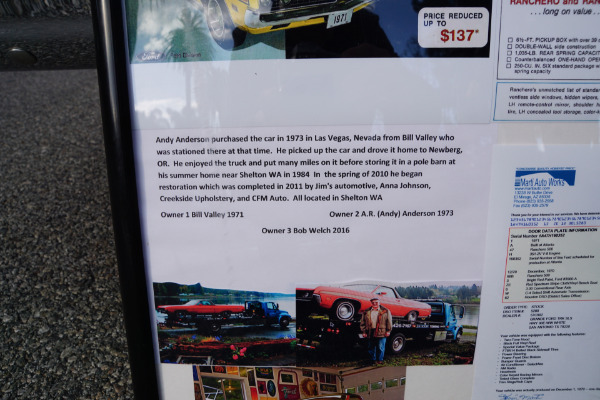 This second owner lovingly restored the truck as required being careful in keeping all it's original specifications in 2010-11 at local renown shops and the truck still boasts a thick file of original documentation including its original owners manuals, dealer selling brochures, build sheet & Protecto-plate. 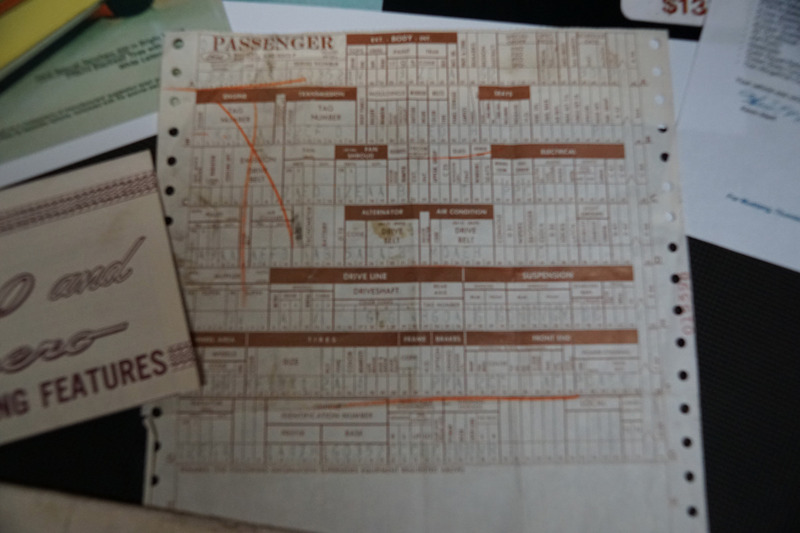 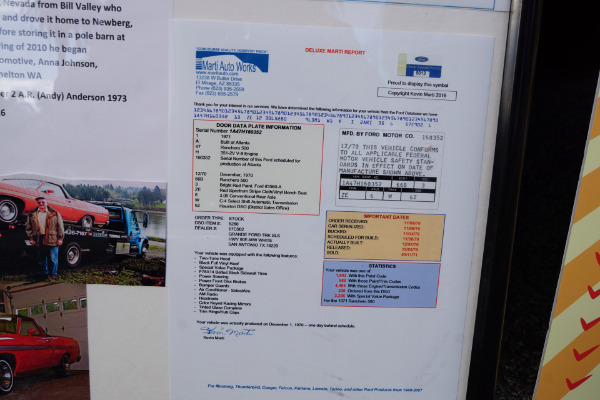 The truck also has a 'Deluxe Marti Report' confirming its originality. The Ranchero was launched from Dearborn, Michigan in 1957 as the industry's first ever car/pick-up, two years before Chevrolet's belated response of the 'El Camino'! Undeniably handsome and perfect for the small businessman in the service industry, the model evolved in the late sixties into a full force muscle machine! 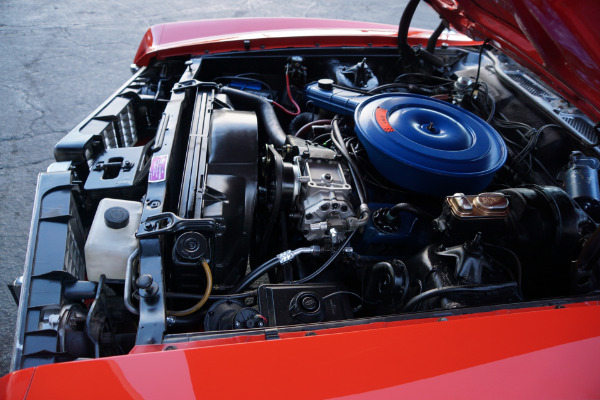 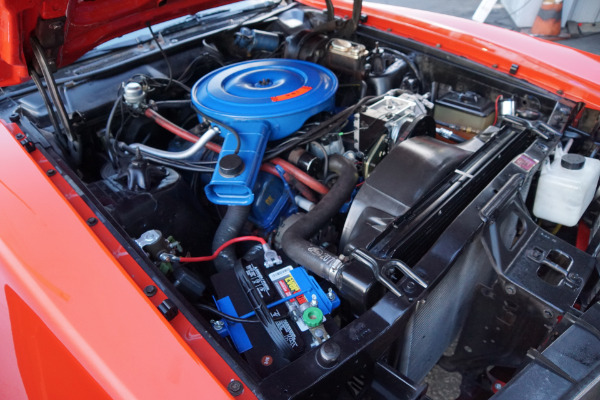 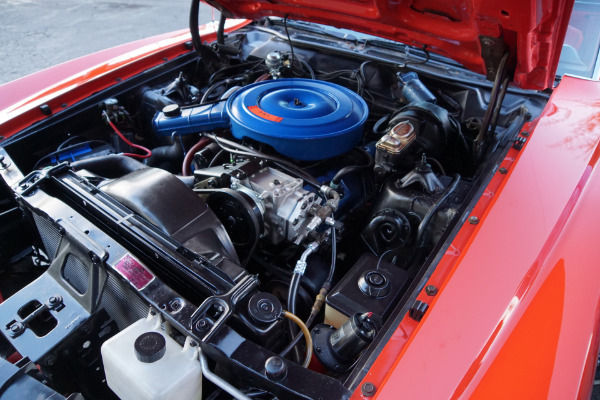 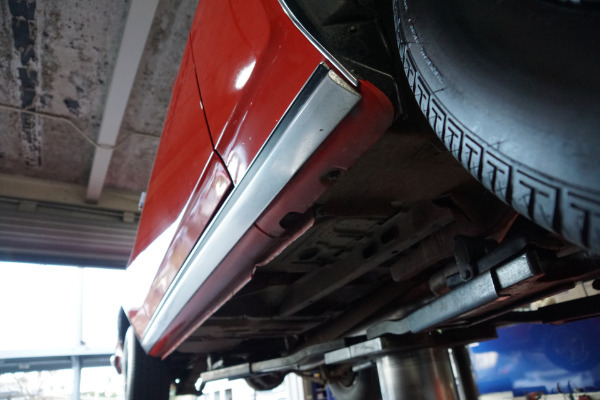 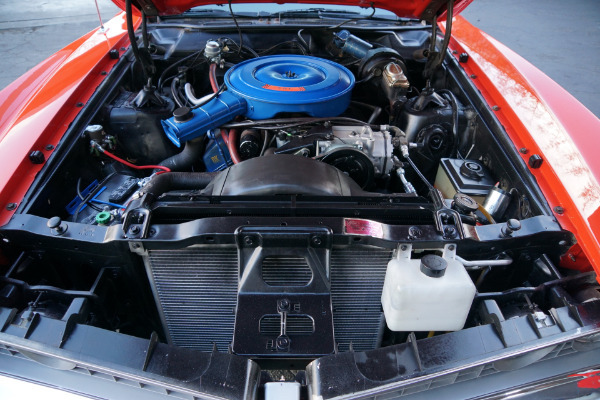 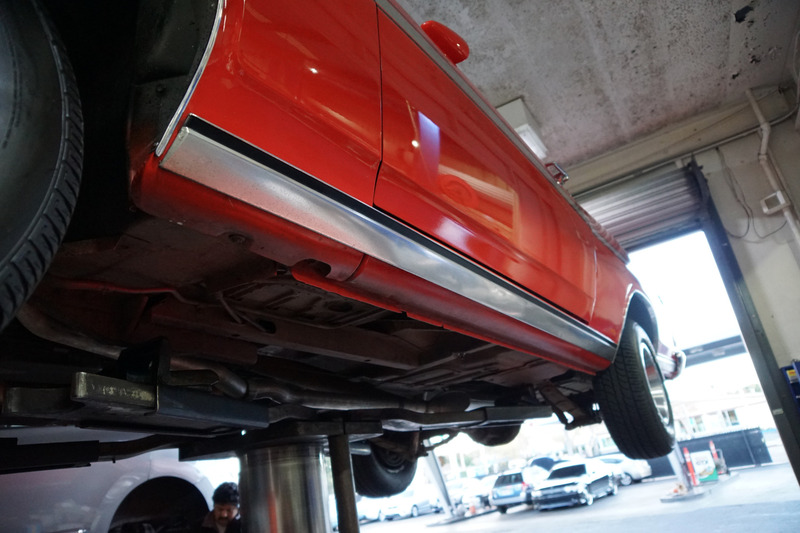 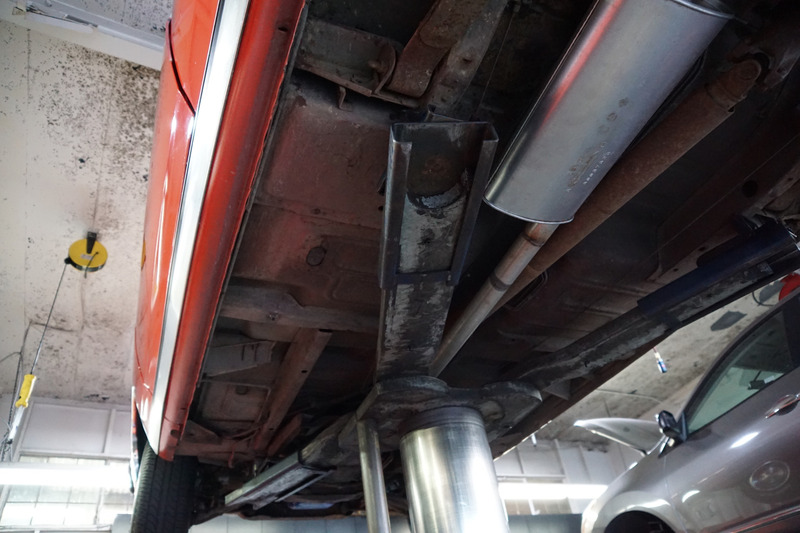 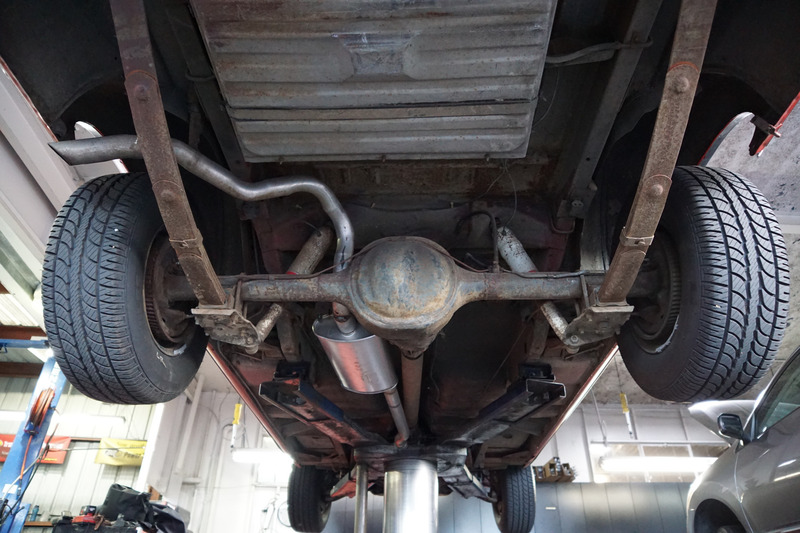 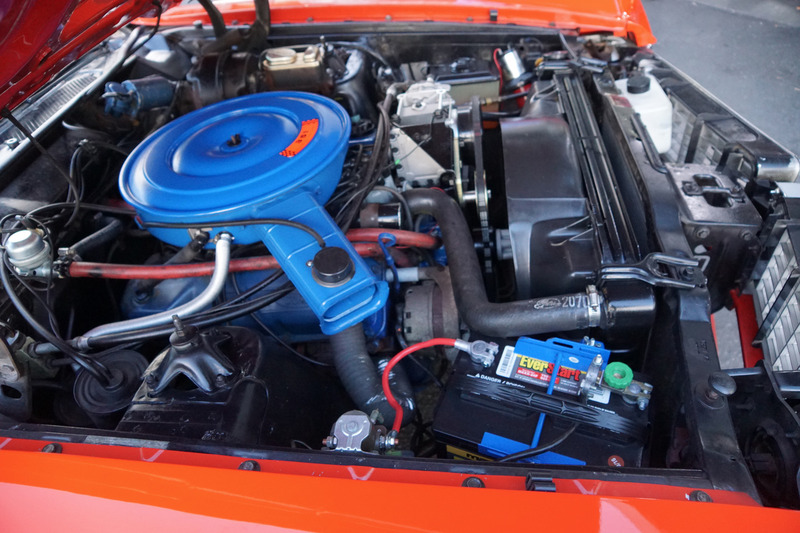 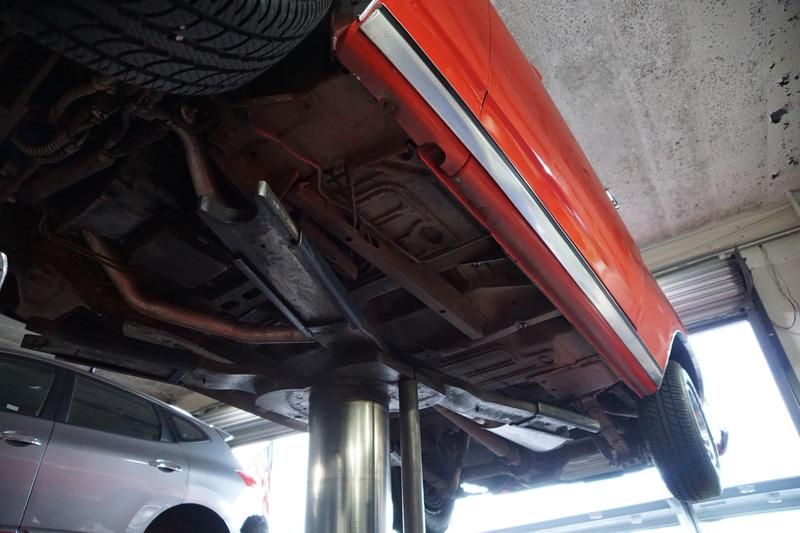 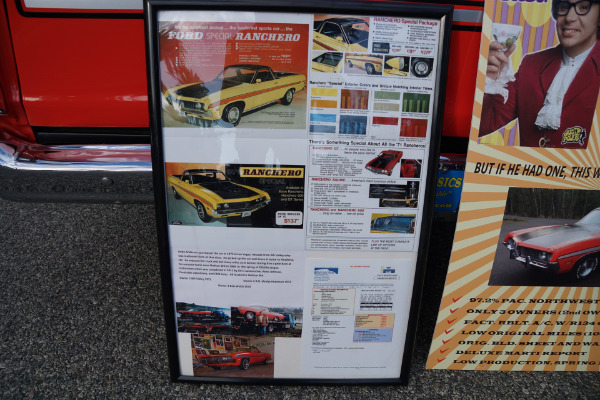 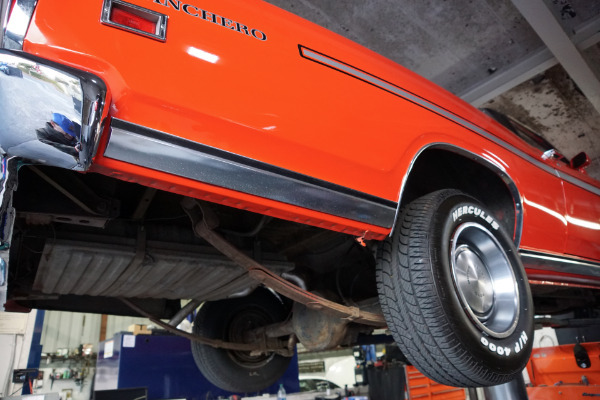 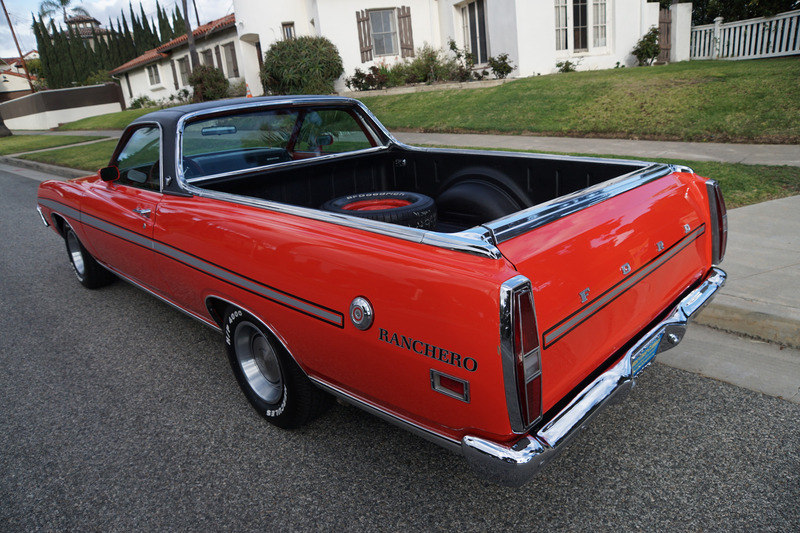 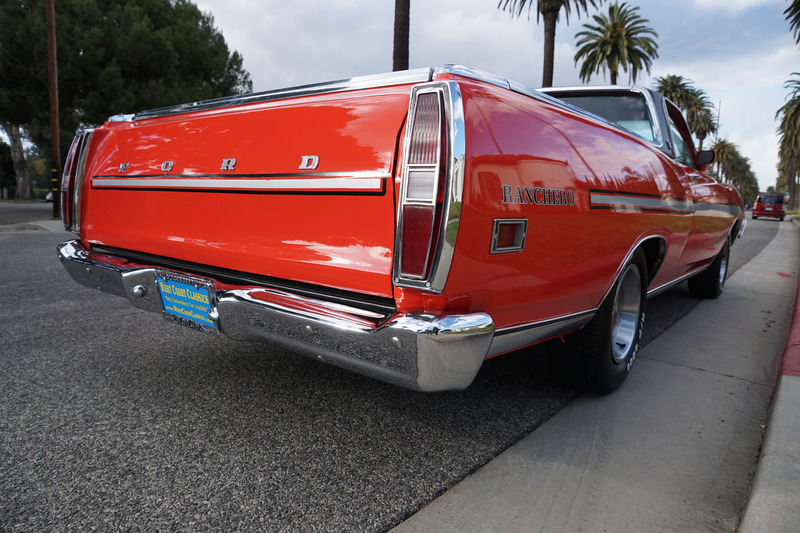 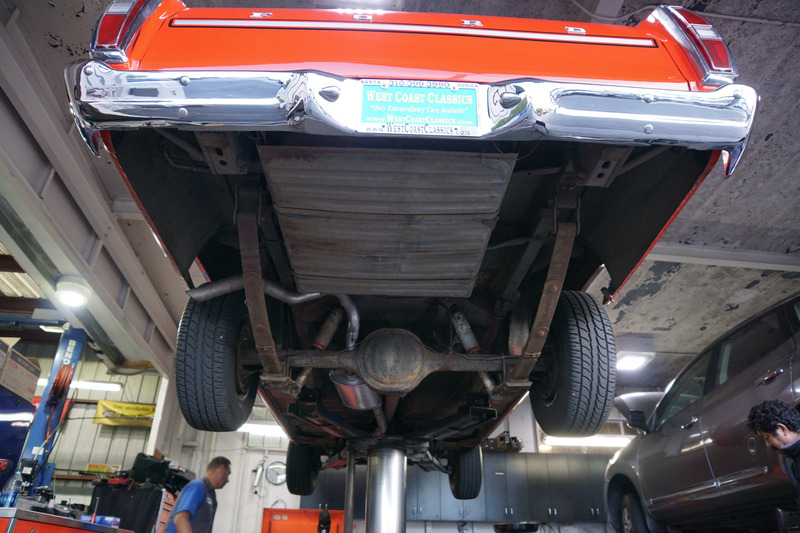 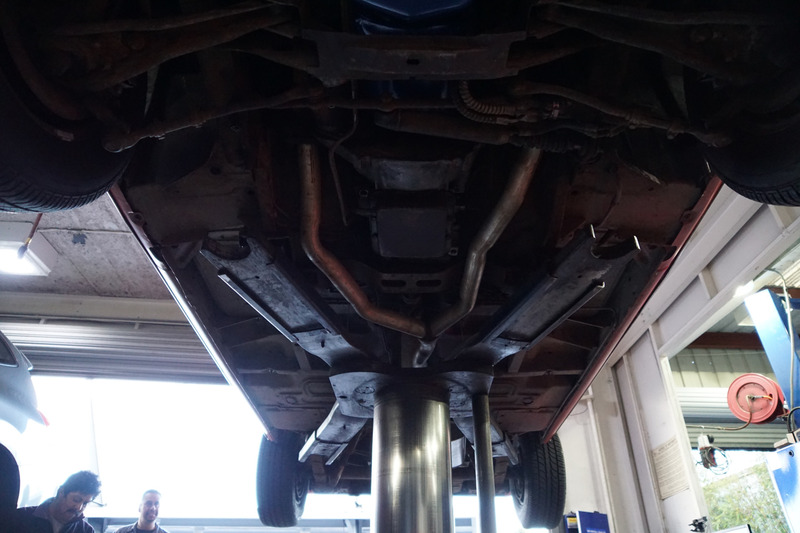 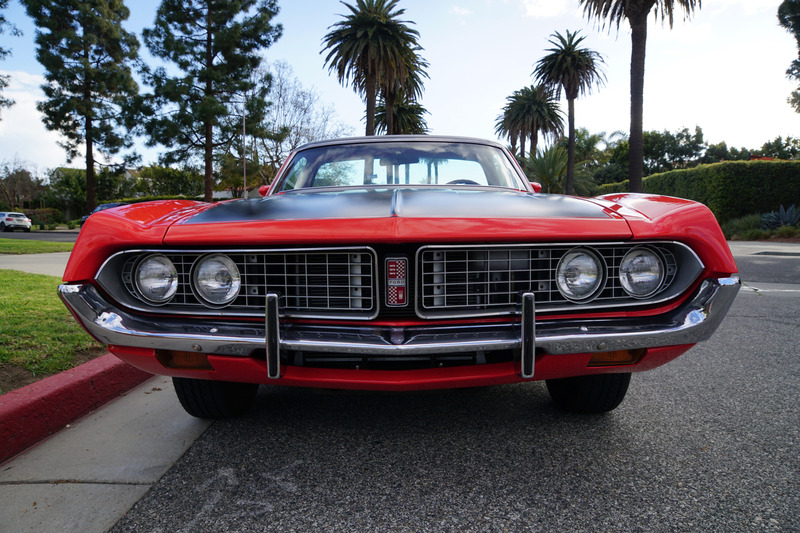 In 1969 the Ranchero GT was offered with the 351 Cleveland engine or the ultimate 428! 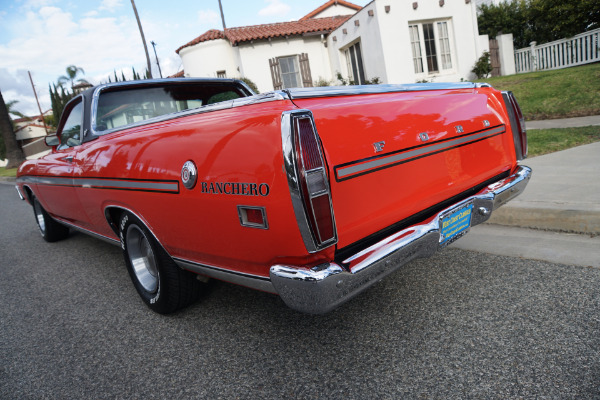 The Ranchero was up-sized again in 1970, longer, wider and lower than before in it's ultimate incarnation that lasted for only two years before the gas crisis ended the muscle car era in Detroit. 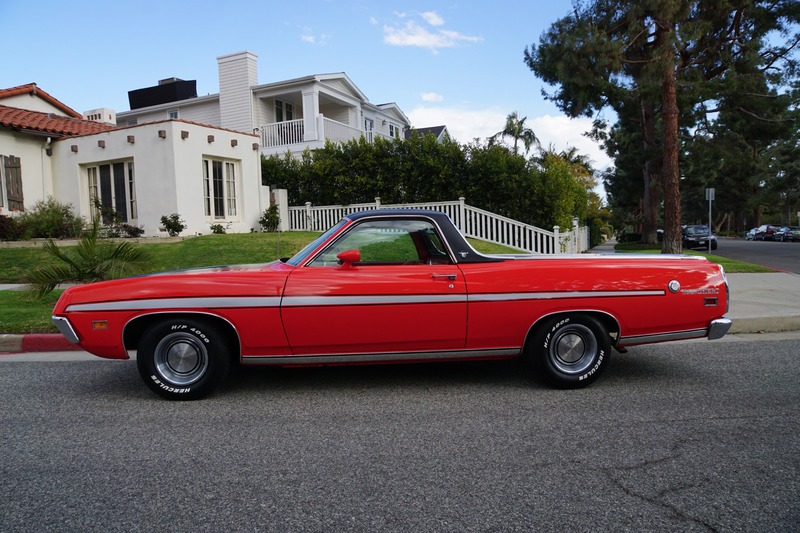 This particular model is simply stunning and must be one fo the finest and best kept examples of a 1971 Ranchero 500 available anywhere and as previously stated boasts a plethora of factory options and upgrades and of course the highly desirable 351 V8 engine! 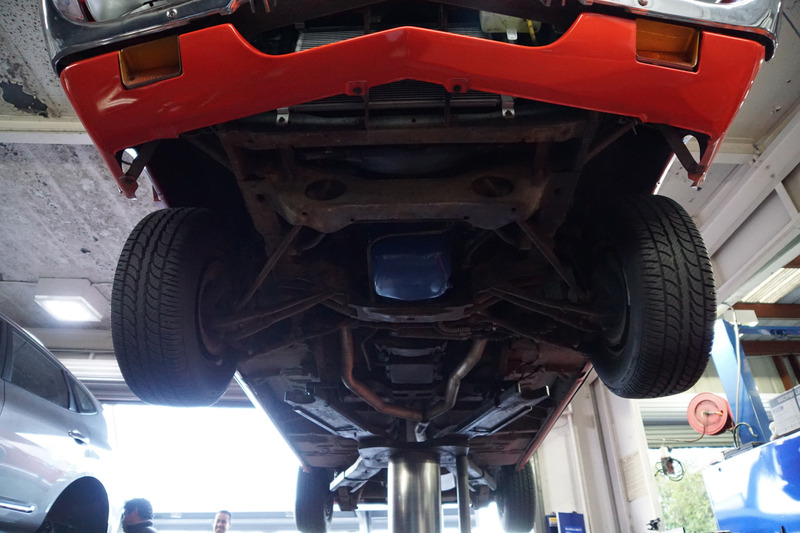 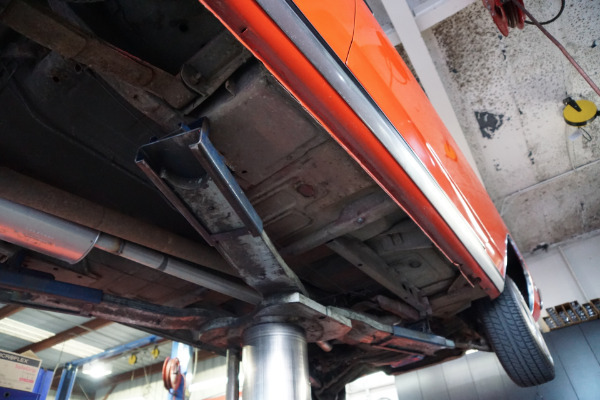 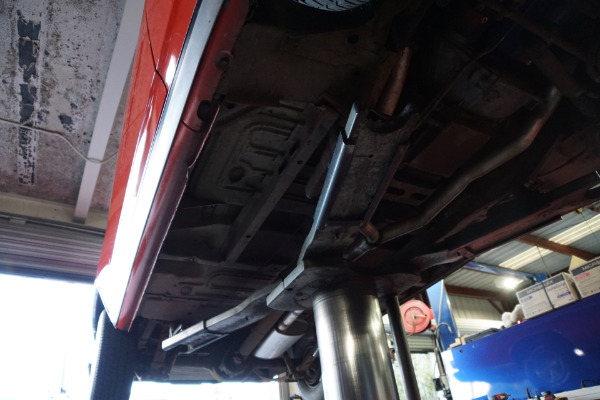 No signs or any history of any accidents or damage and absolutely no rust whatsoever and obviously always lovingly maintained by it's long time owner's since new. 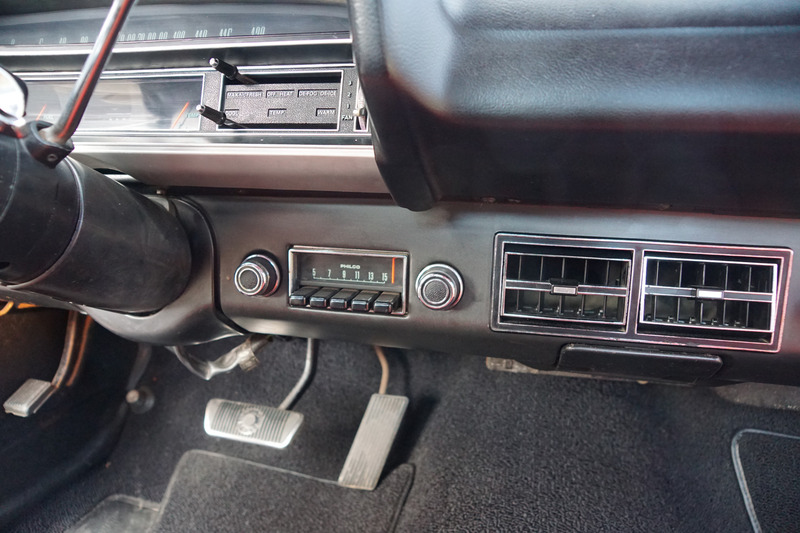 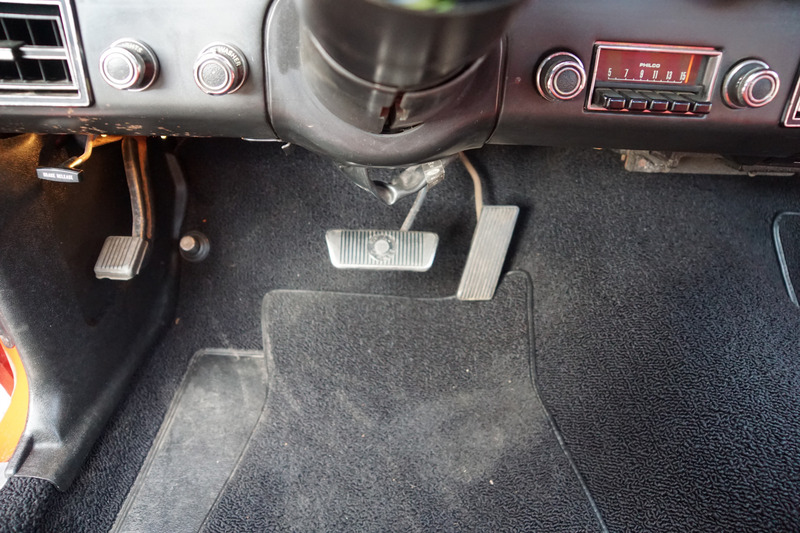 This rare truck must be seen and driven to be fully appreciated - the engine is extremely strong, the transmission shifts smoothly through the gears and the engine temperature always remains cool. 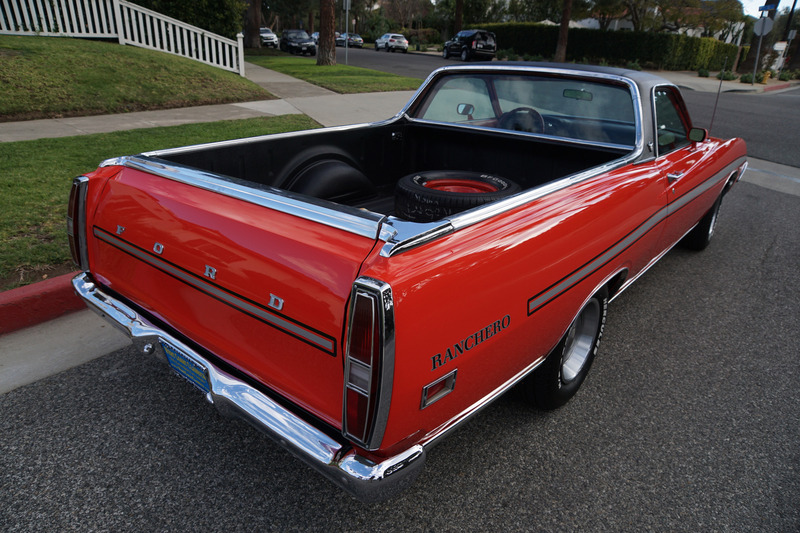 This is probably one of the finest, if not the finest, examples of this increasingly collectible and desirable 1971 year of the legendary Ford Ranchero, a beautifully restored truck with no rust whatsoever of this rare turn-key ready, daily appreciating, daily driving and daily head-turning all time classic American muscle truck with it's original matching # 'H' code 351 V8 engine and highly desirable 'Special Value Package', Power Steering, Power DIsc Brakes & factory Air Conditioning!